Following on from the story in my last update,the eminent and esteemed competition angler was actually John Sommerville and it will actuall be a while before he lives that episode with the double figure salmon on Finlough down. John Mills started the trend with the Willie Gunn and not surprisingly it was fly of the week to date. 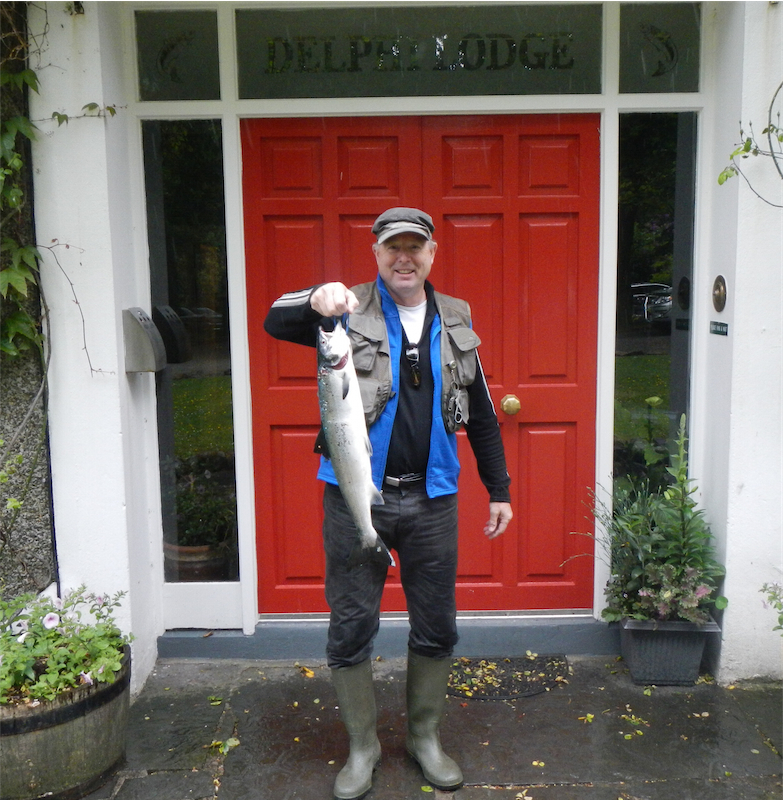 Peter Eaton had a grilse off Finlough on Monday of 4lbs5ozs on a Francis. Richard Maye then had a good fish in the afternoon off Fin weighing in at 9lbs10ozs on a Willie Gunn. 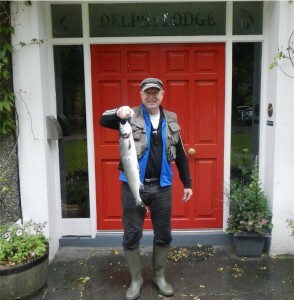 Richard was again on the mark on Tuesday with a powerful fish of 12lbs11ozs again off Fin and again on a Willie Gunn. The 12th we landed three fish. 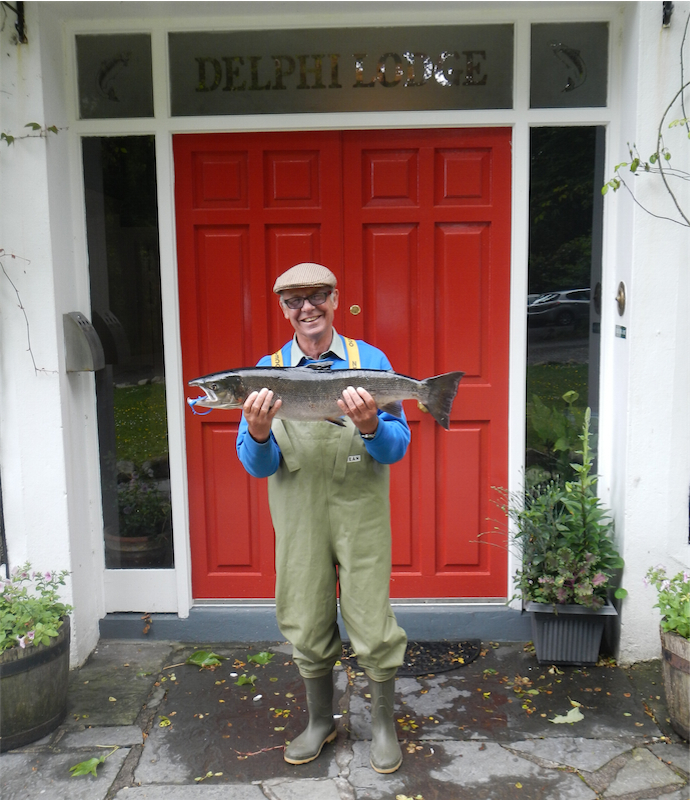 David Hewetson Brown had a grilse off the Quarry pool of 4lbs2ozs on a Hairy Mary. John Mills had another off Finlough of 5lbs13ozs on a Willie Gunn and David Hewetson Brown had his second of the day when landing a beautiful fish of approx. 12lbs off Fin on a Collie Dog. Finally yesterday John Mills was again on the scoresheet when he landed a 9lbs fish off Finlough on a Willie Gunn. So far today we are still awaiting our first but it has been raining on and off most of the day and the water is rising, so we should have enough water for a few days to come. Hopefully we will see a some more fresh fish enter the system in the days to come.